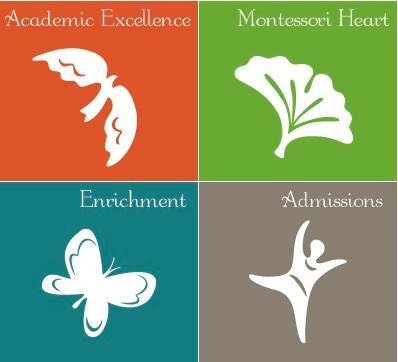 Concepts are presented in many different ways to accommodate the different interests and learning styles of children. 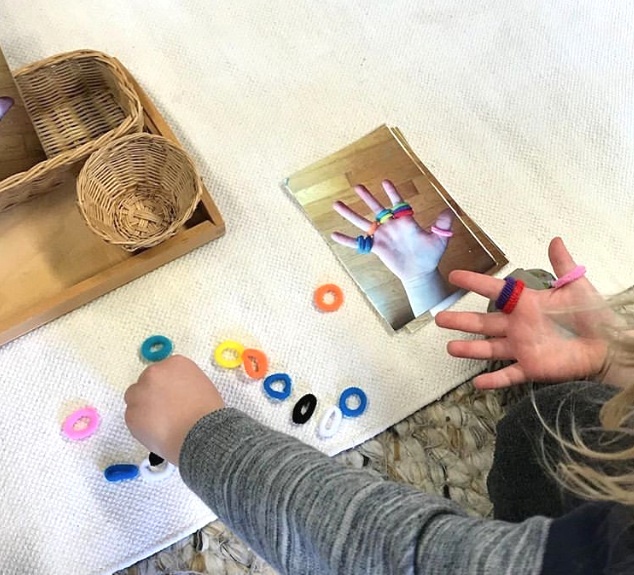 In addition, this work develops hand coordination as the soft and colorful elastic loops are placed on the appropriate finger. 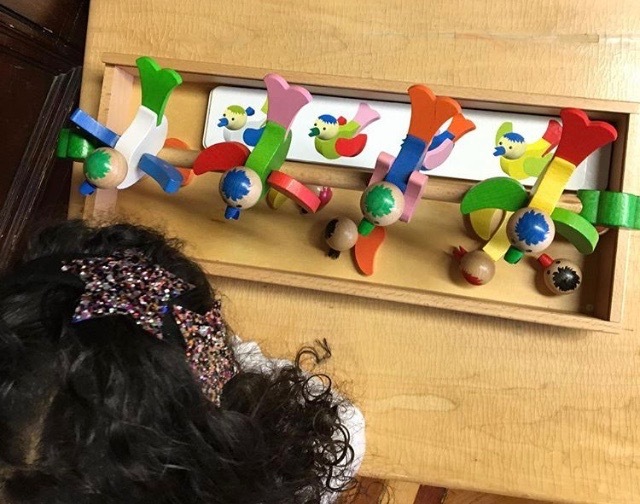 Earlier this year, students studied birds and used a different patterning material where the child created a bird with beak color, wing color and tail feathers to match the picture of the bird on the card. Click this link to see the post about that work.